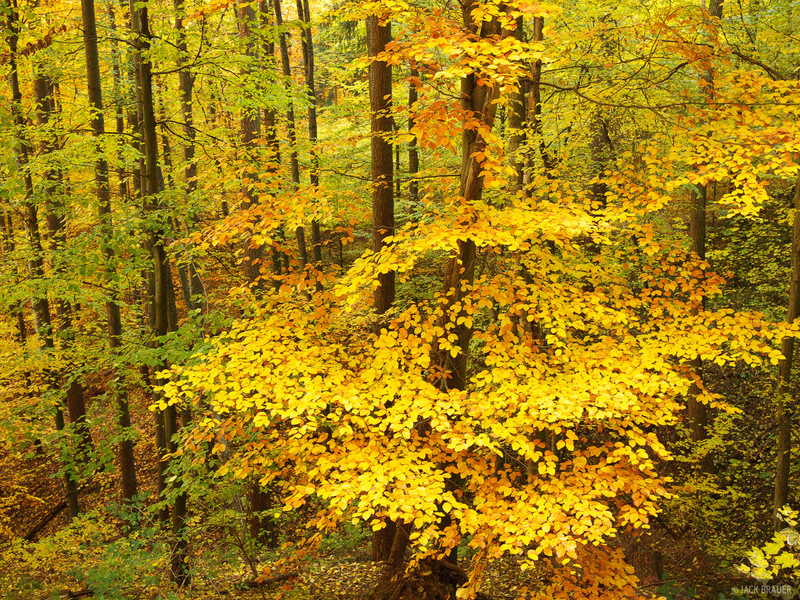 Photos of colorful autumn colors at the foot of the Black Forest near Freiburg, Germany. 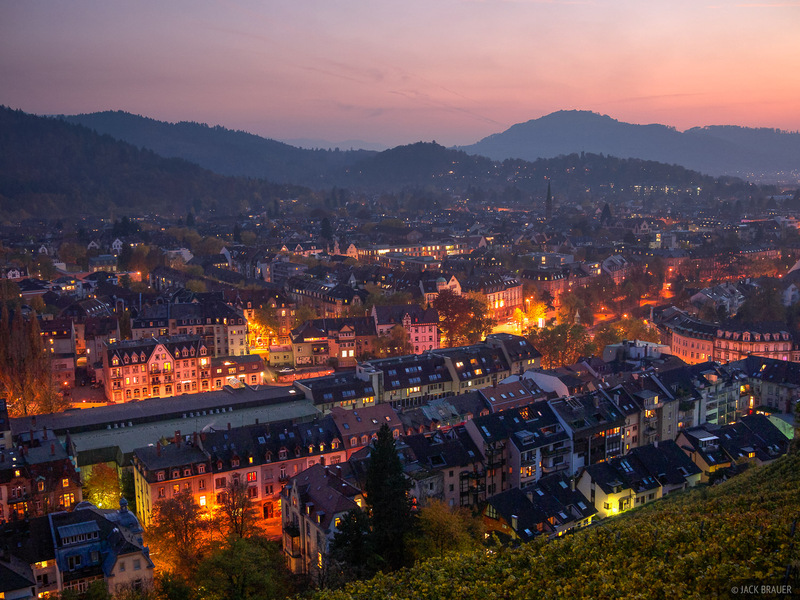 Pink dusk light over the city lights of Freiburg, Germany. Photo © copyright by Jack Brauer. 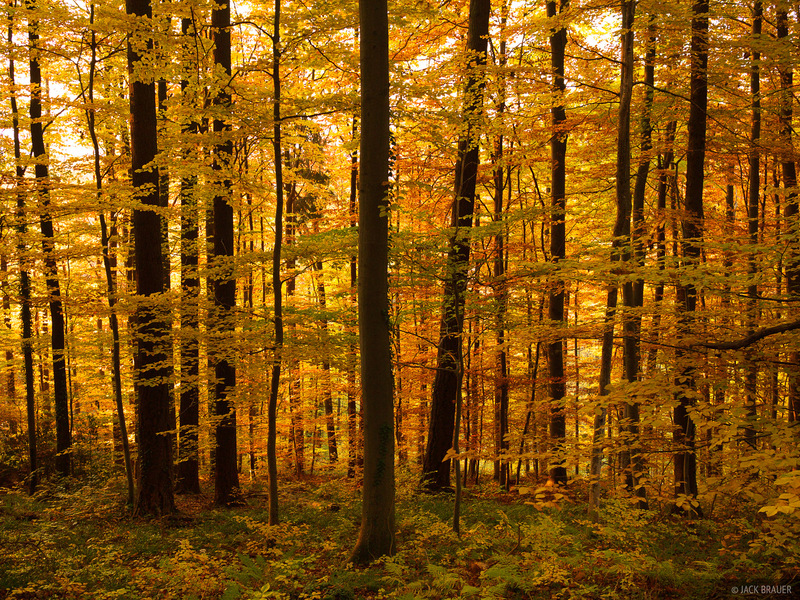 Brilliant autumn colors in the Black Forest near Freiburg, Germany. Photo © copyright by Jack Brauer. 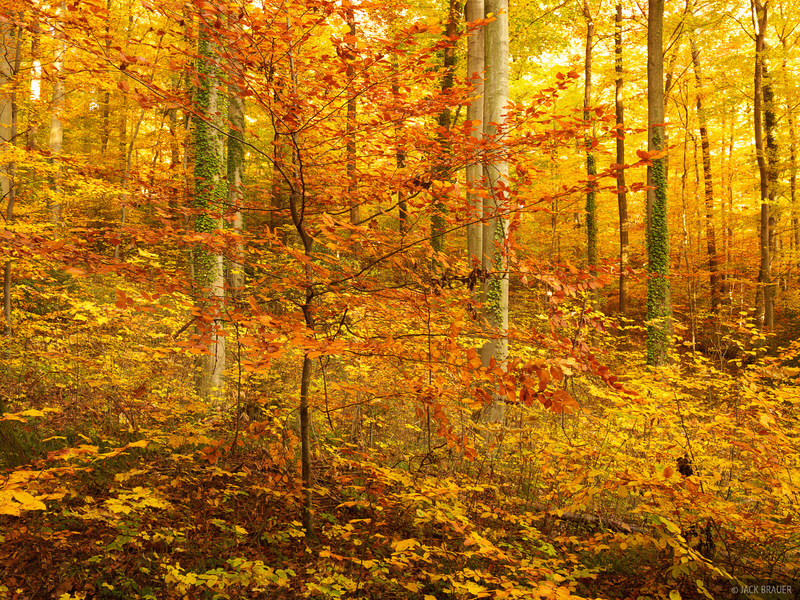 Late afternoon sunlight shines through the autumn forest near Freiburg, Germany. Photo © copyright by Jack Brauer. 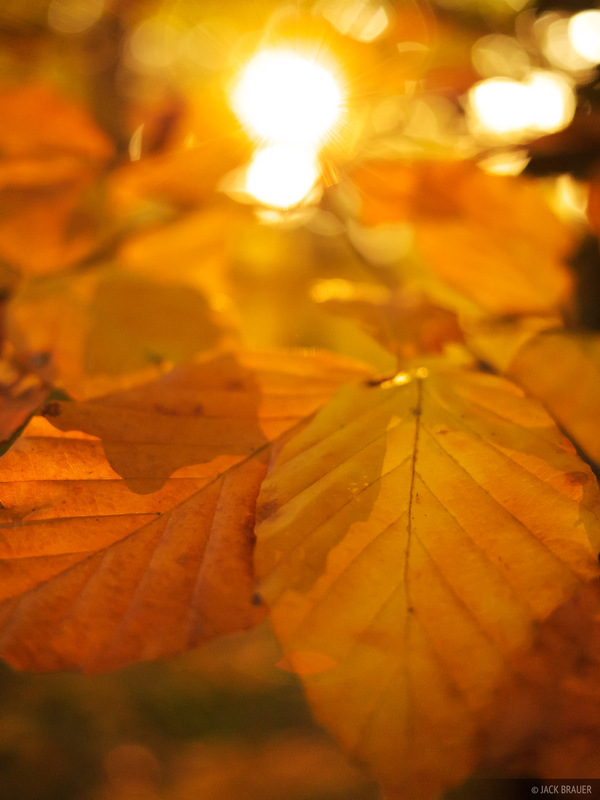 The setting sun shines through the forest, backlighting some golden autumn leaves. Photo © copyright by Jack Brauer. 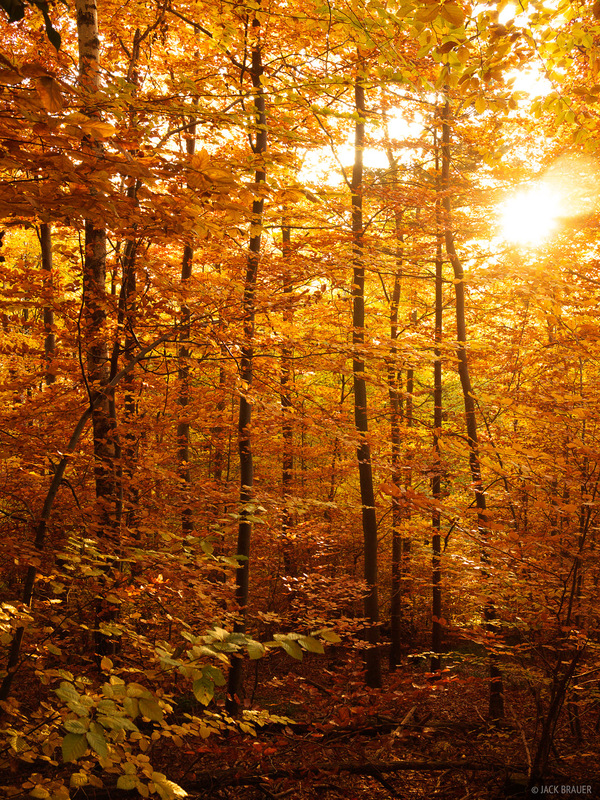 Sunset light filters through the Black Forest. Photo © copyright by Jack Brauer. 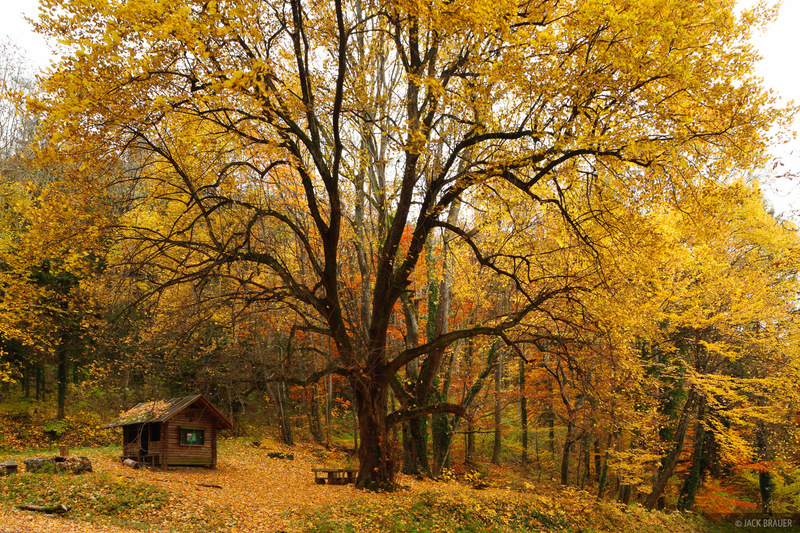 A big yellow tree in the Black Forest above Freiburg, Germany. Photo © copyright by Jack Brauer. 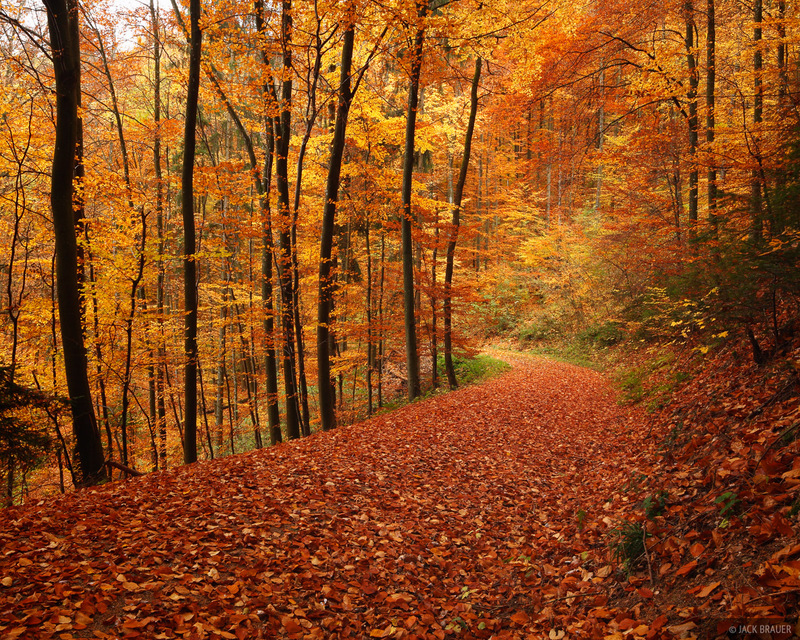 Red autumn leaves carpet a lonely road in the Black Forest above the town of Freiburg in southern Germany. Photo © copyright by Jack Brauer. Posted in Alps & Europe and tagged Germany.